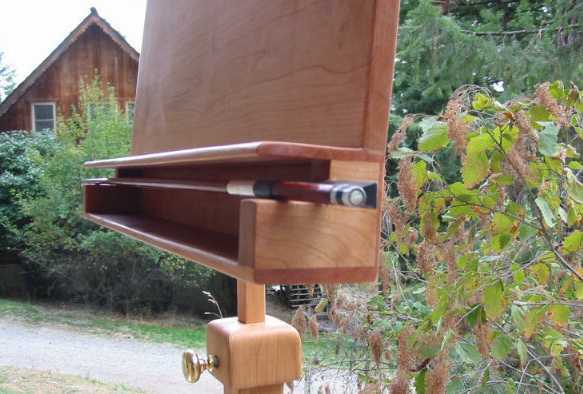 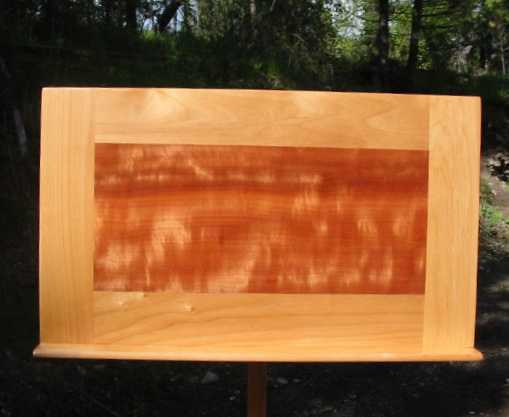 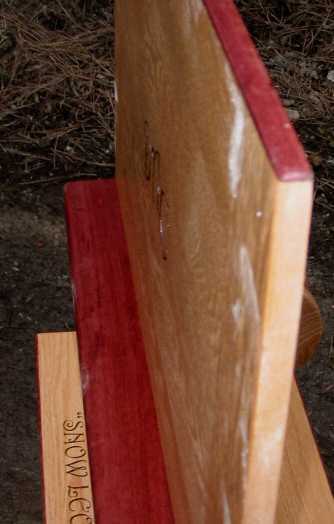 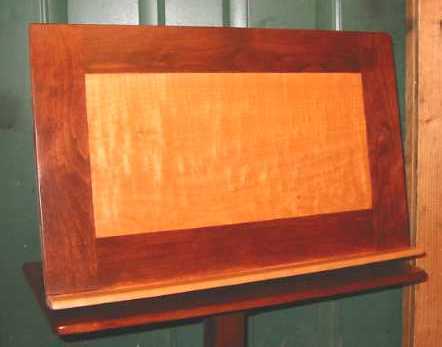 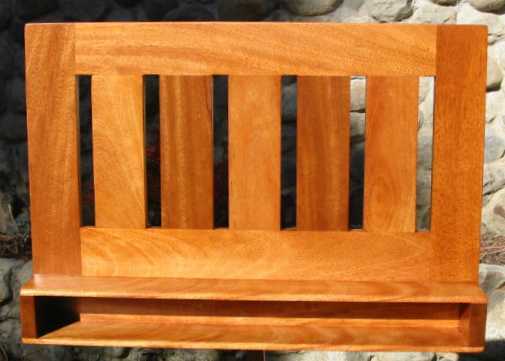 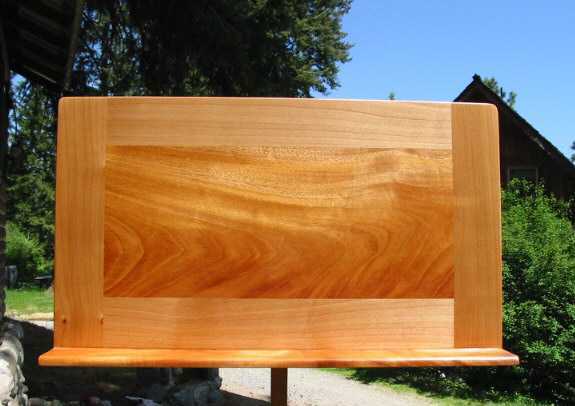 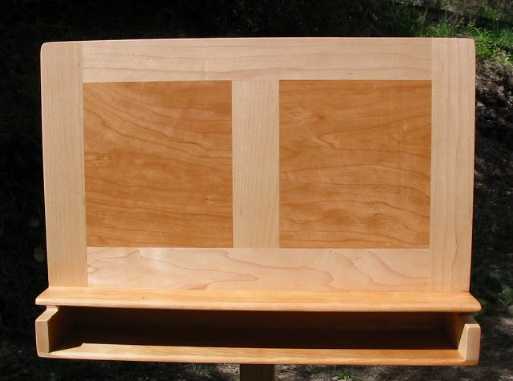 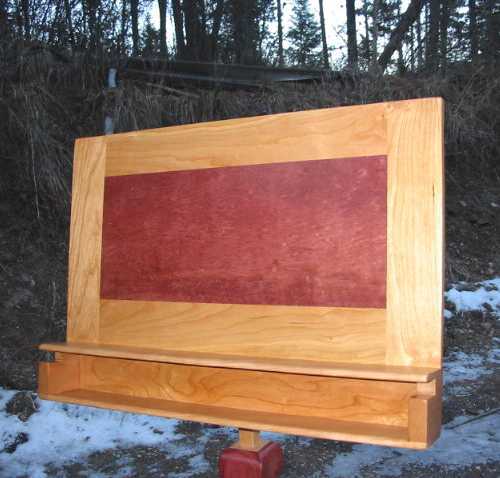 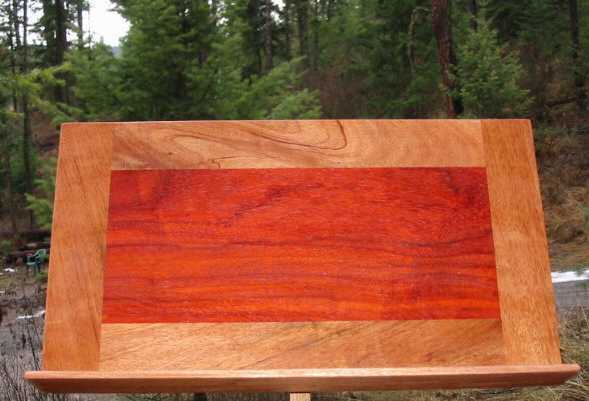 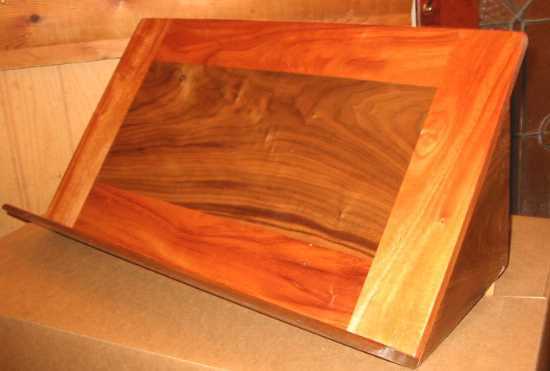 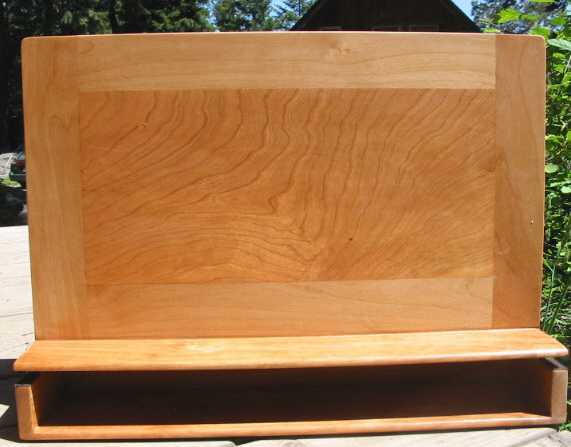 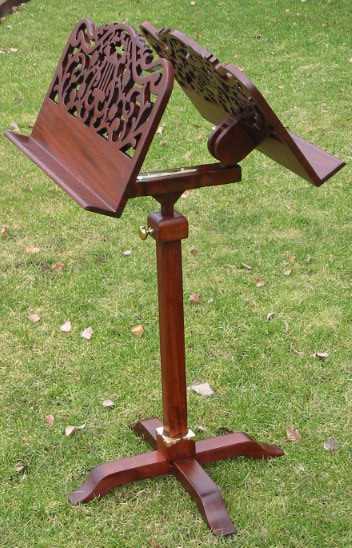 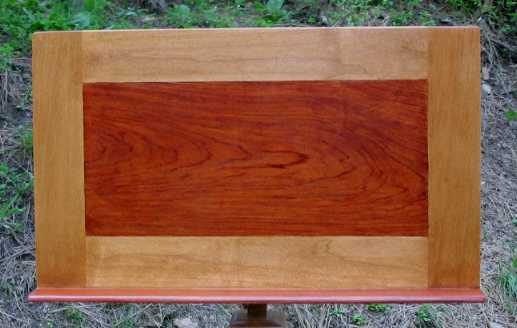 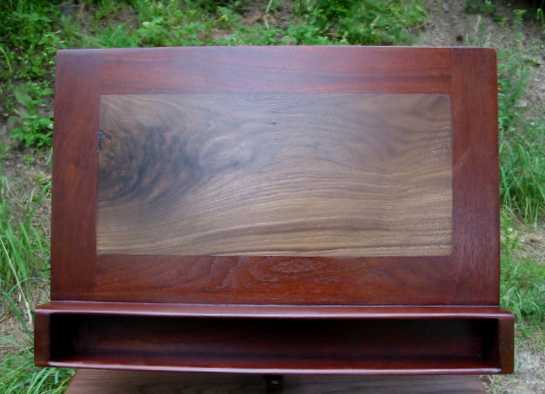 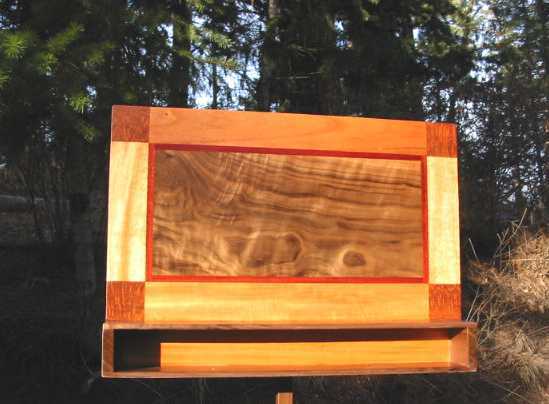 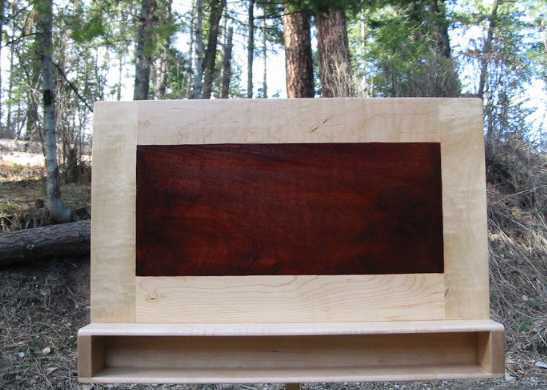 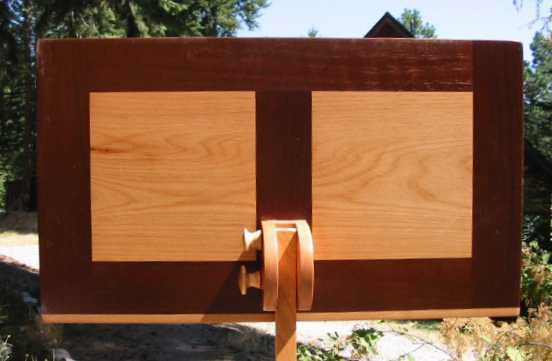 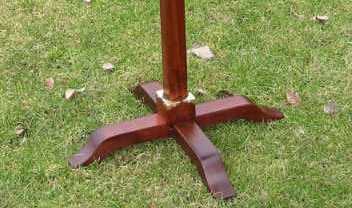 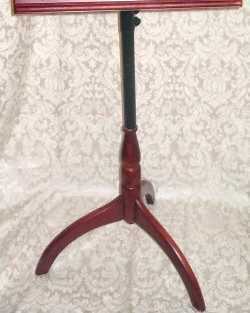 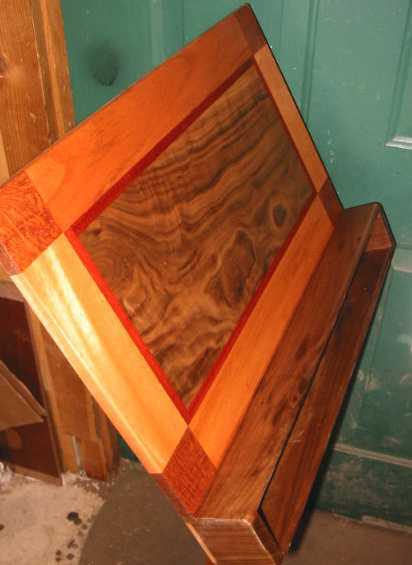 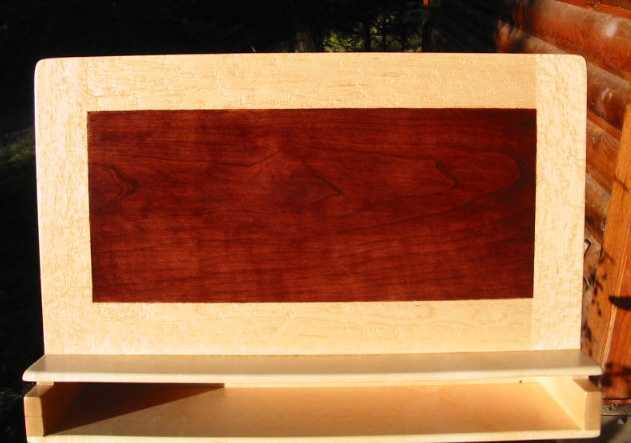 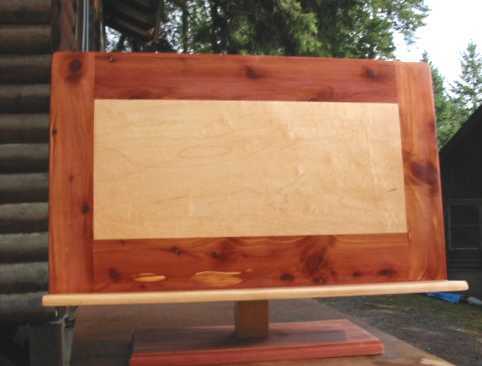 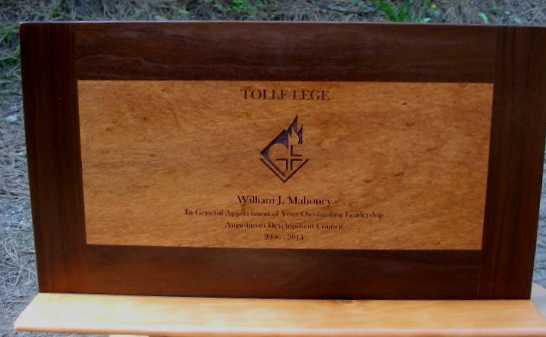 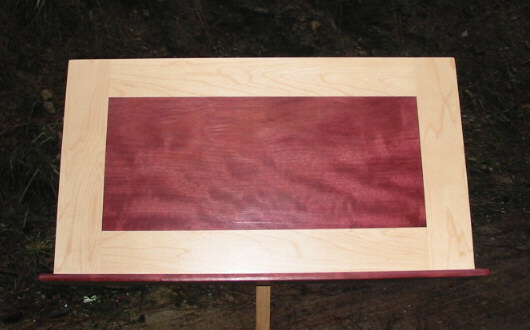 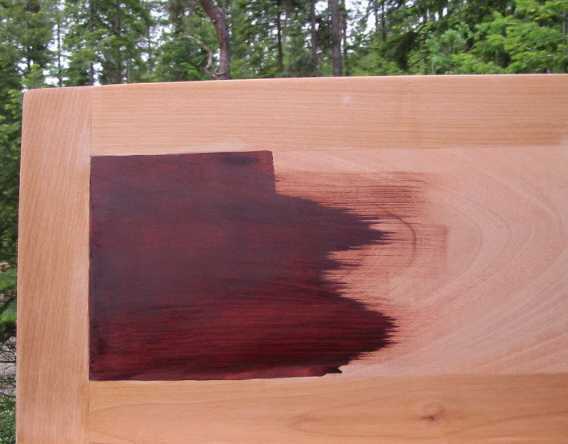 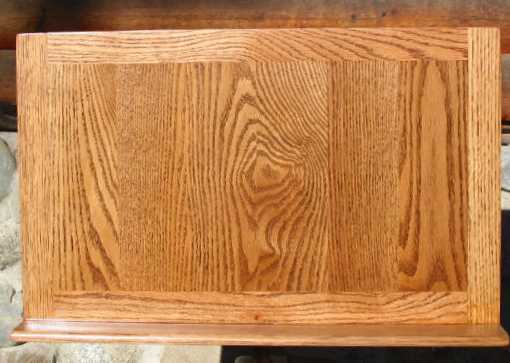 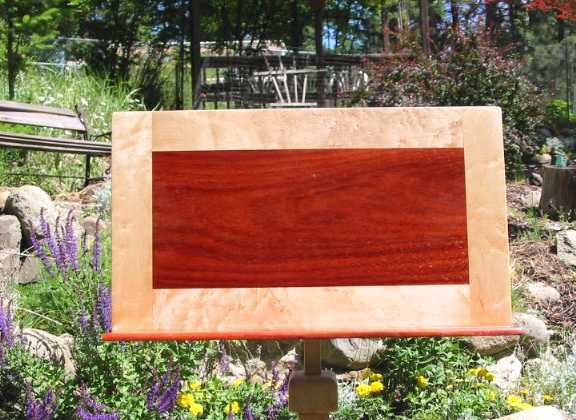 as pictured below.......as well as the red mahogany center. 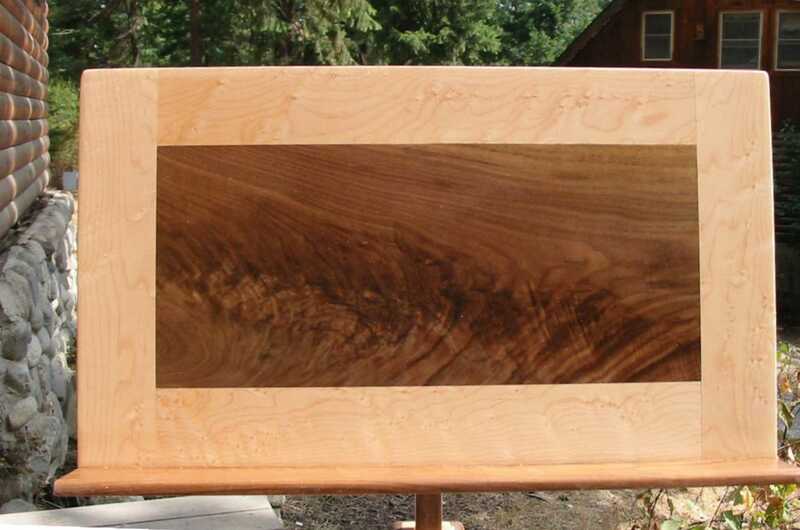 The frame size is 12 1/2" x 22"
and outside edges of solid frames below..
Got a idea ?? 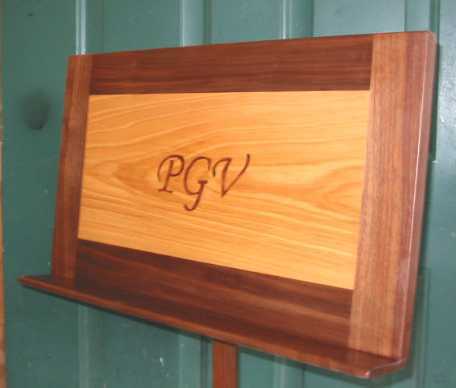 Let me know ..
at not including the rest of the wood for the stand !!!! 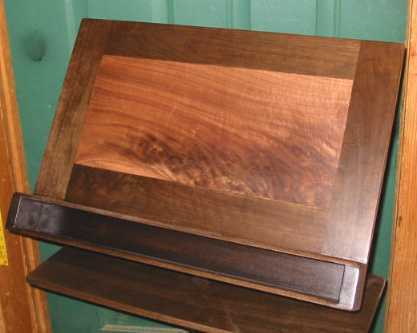 There was almost $ 200 just in wood for this stand. 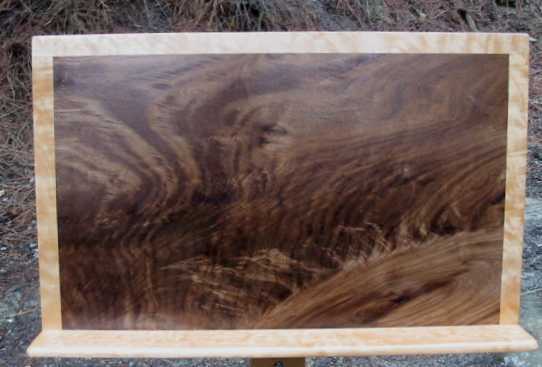 That was a solid piece of walnut - not a veneer !! 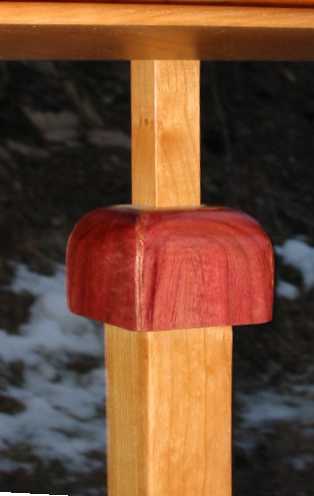 Natural cherry with Purple Heart -very nice combo !! 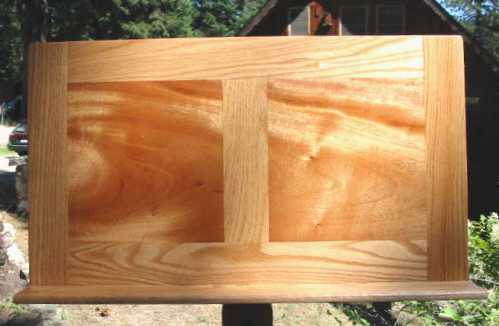 making a not so contrasting design. 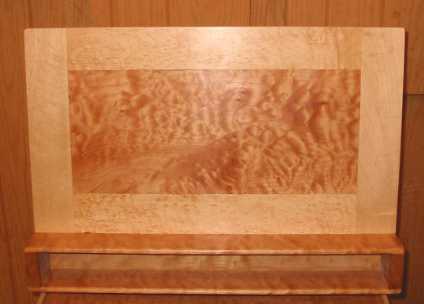 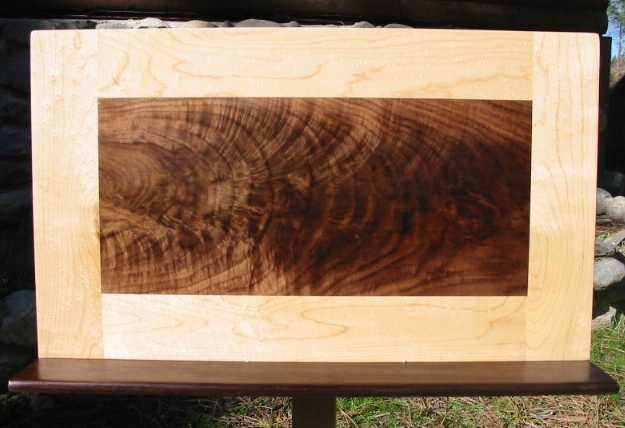 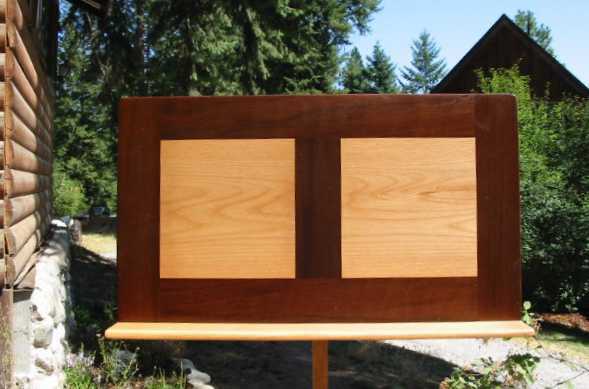 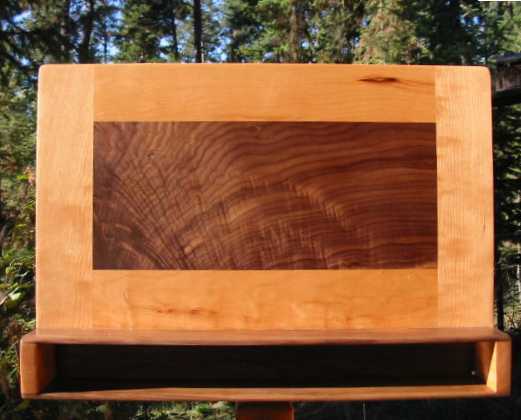 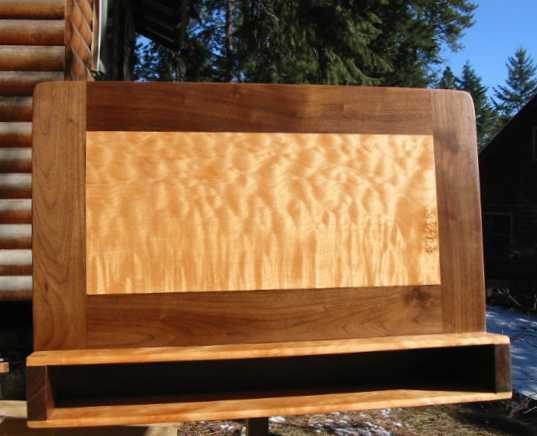 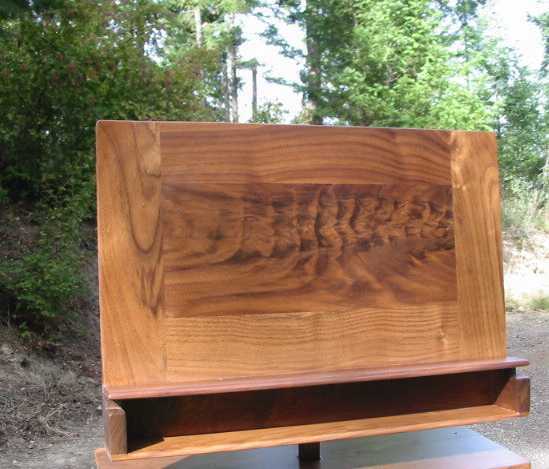 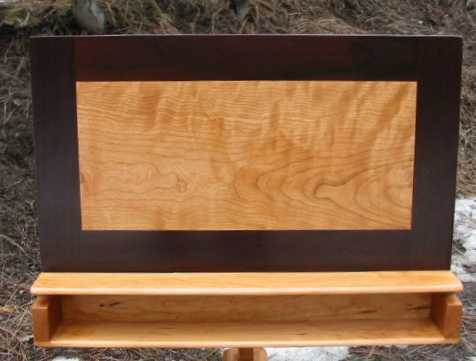 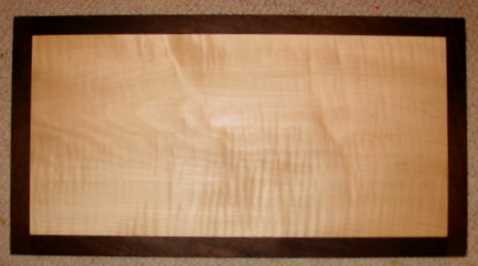 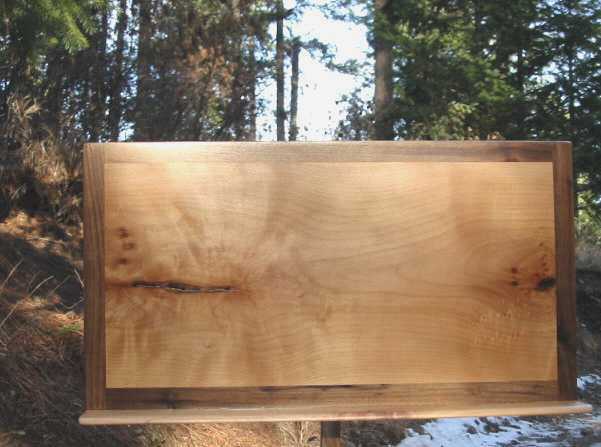 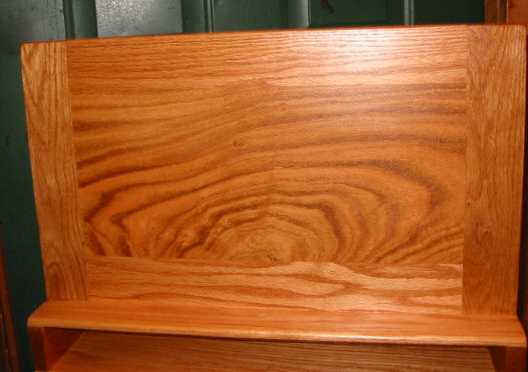 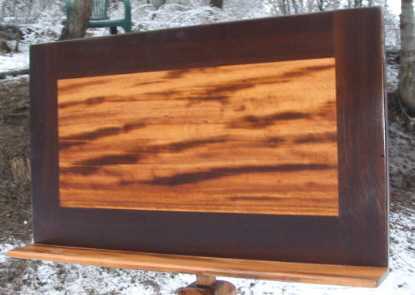 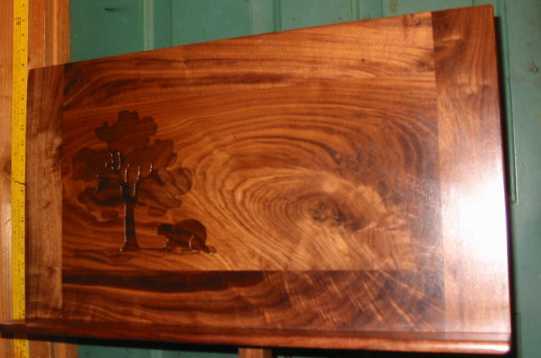 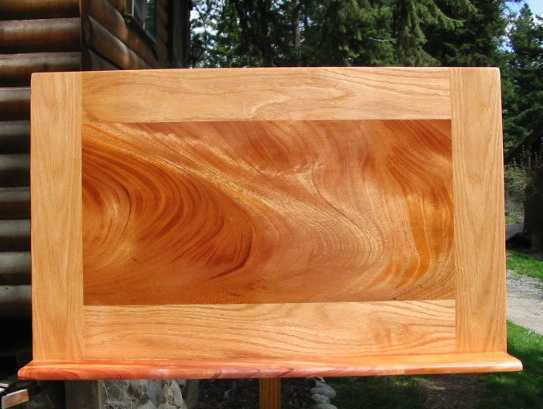 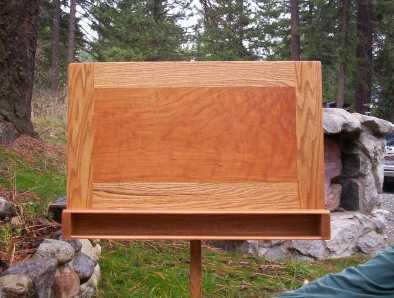 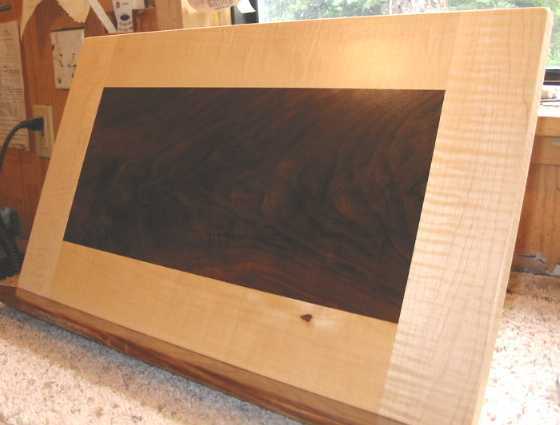 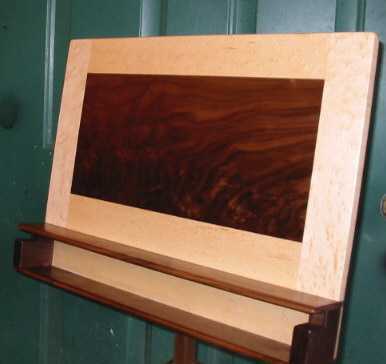 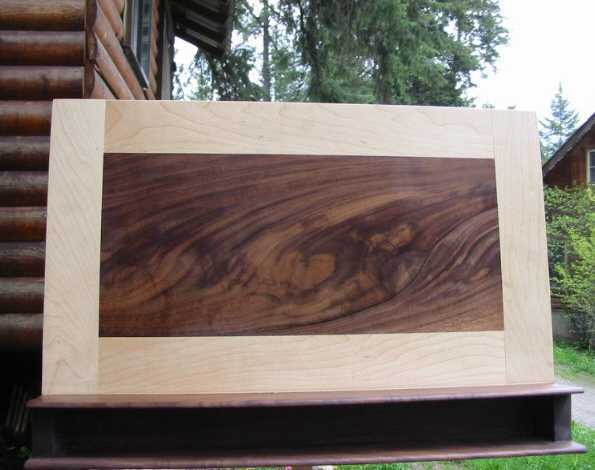 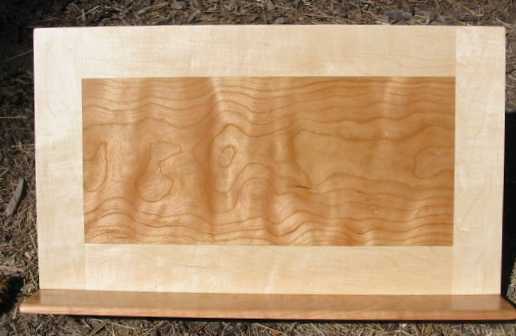 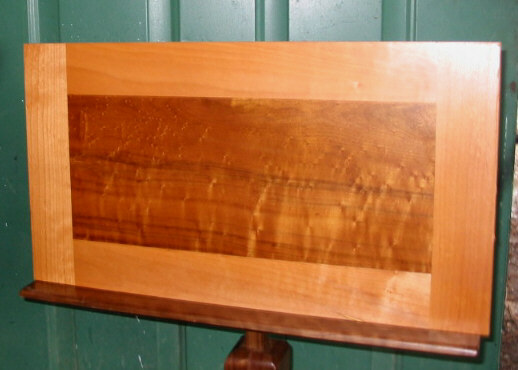 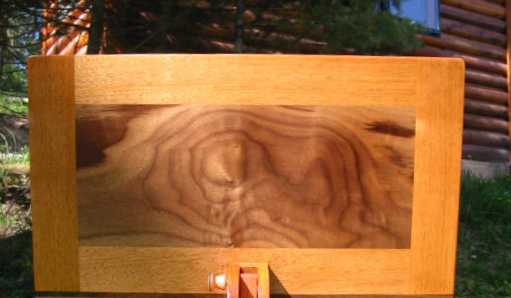 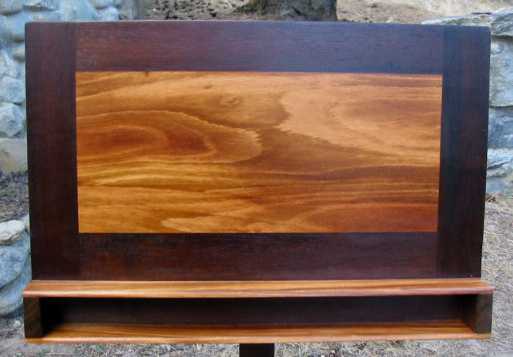 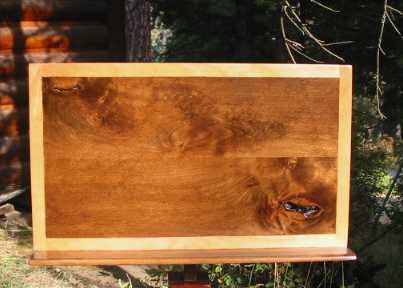 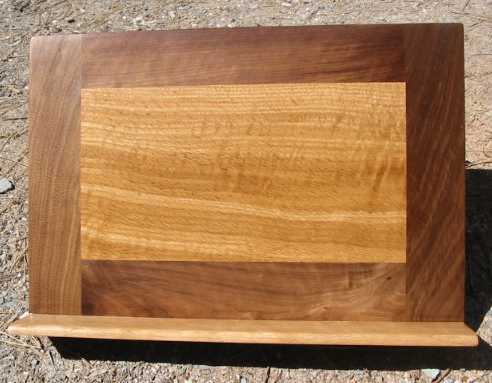 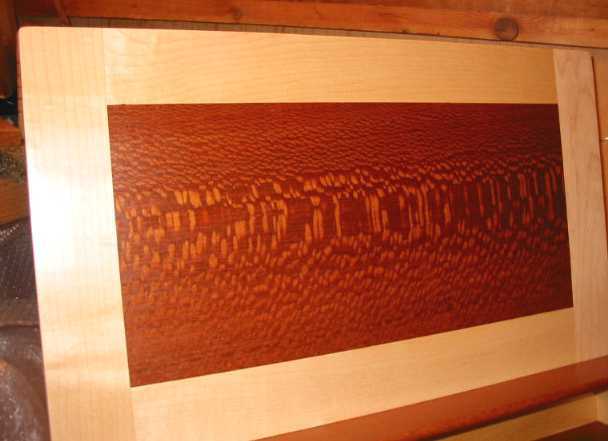 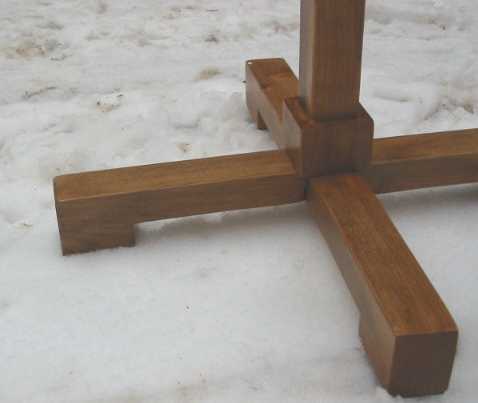 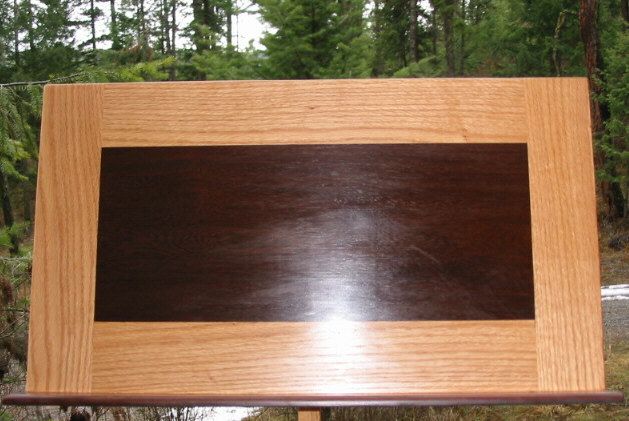 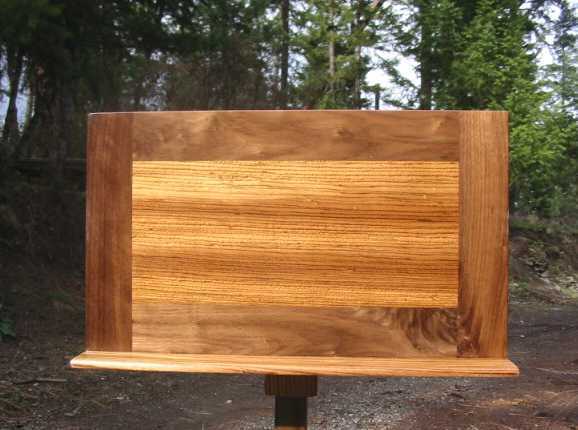 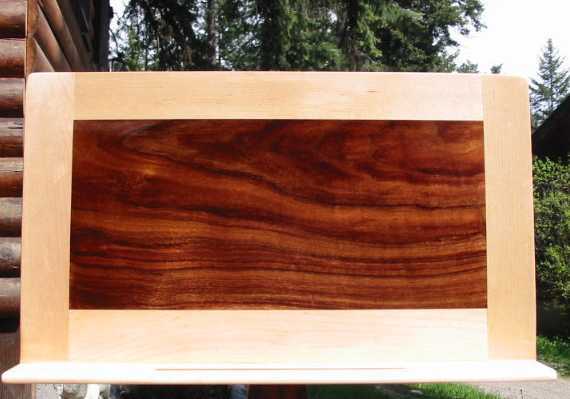 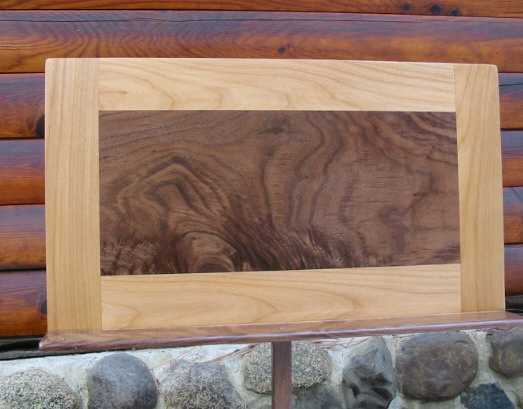 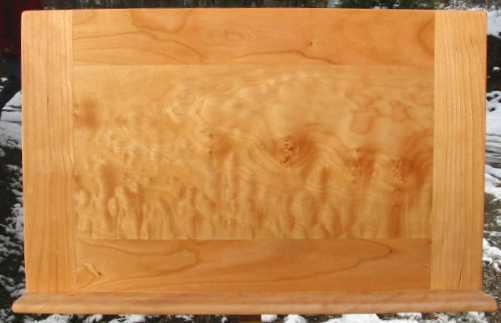 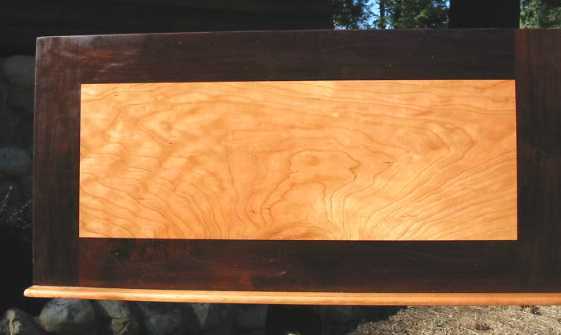 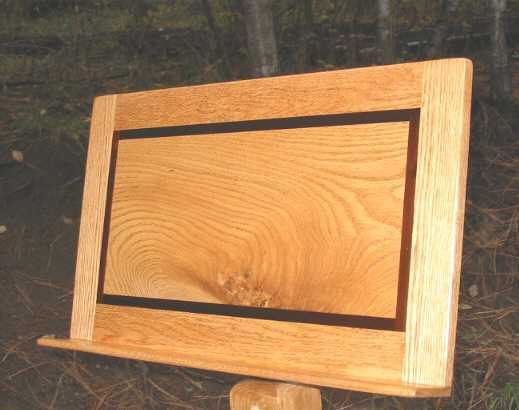 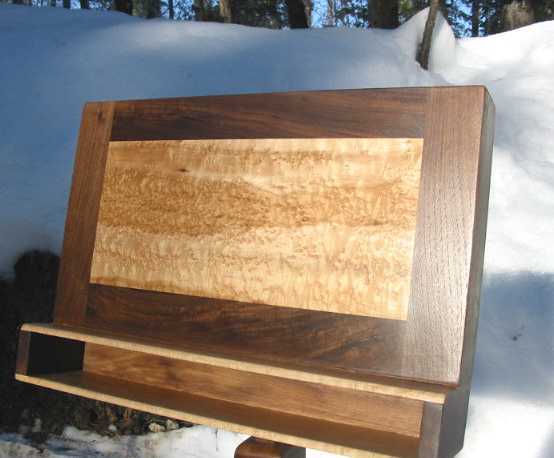 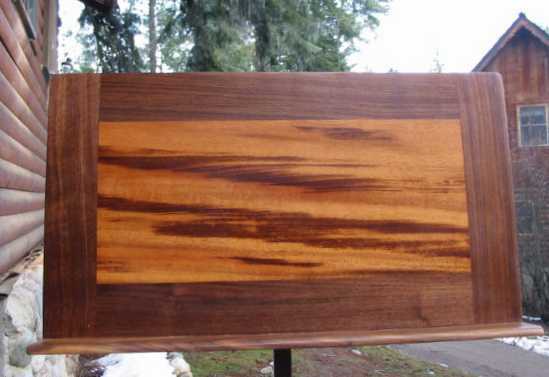 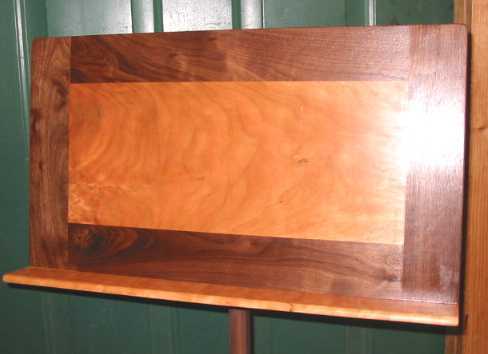 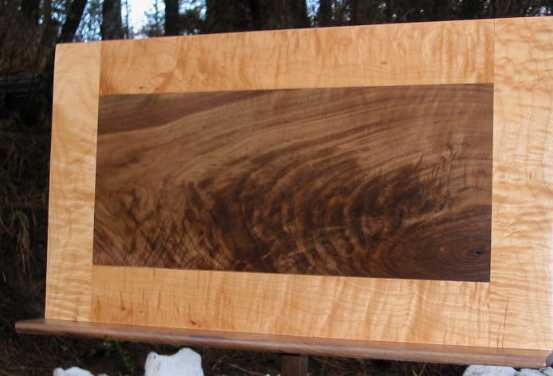 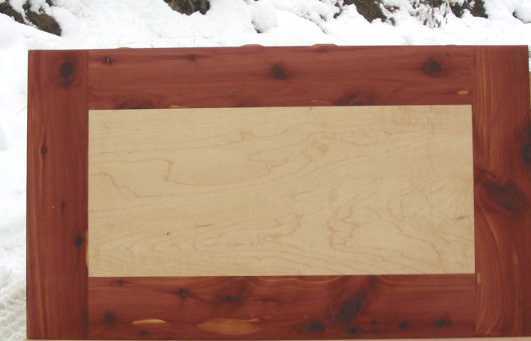 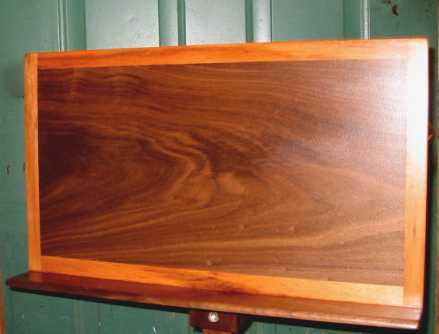 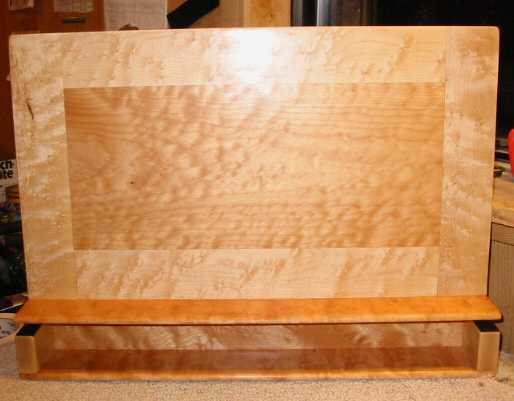 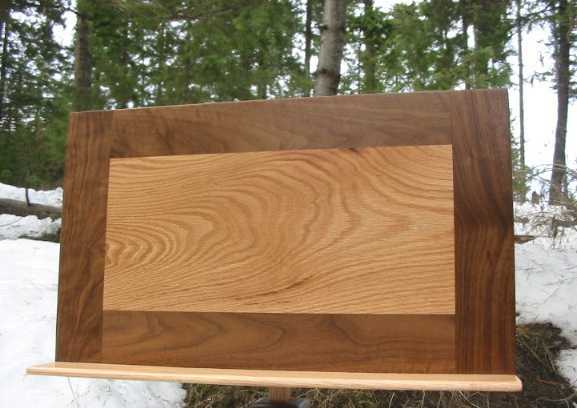 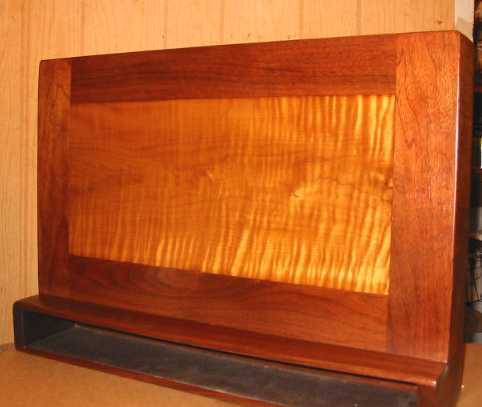 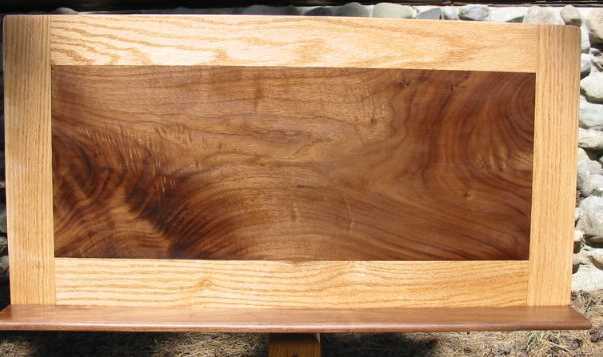 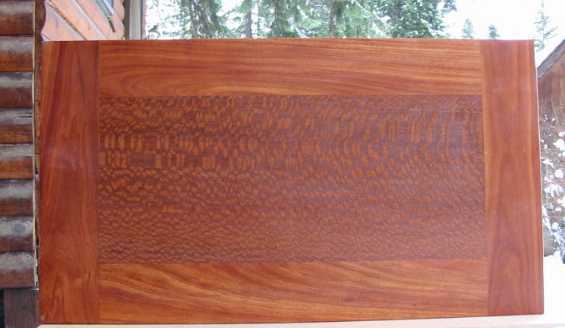 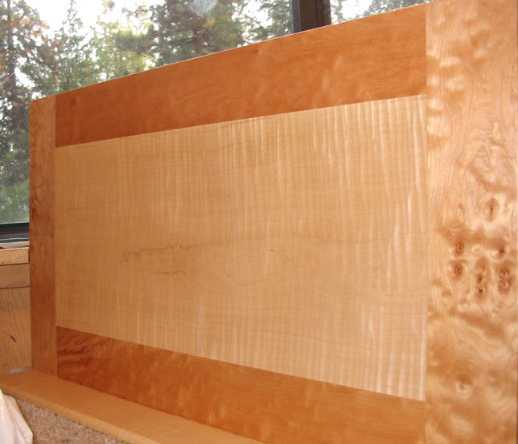 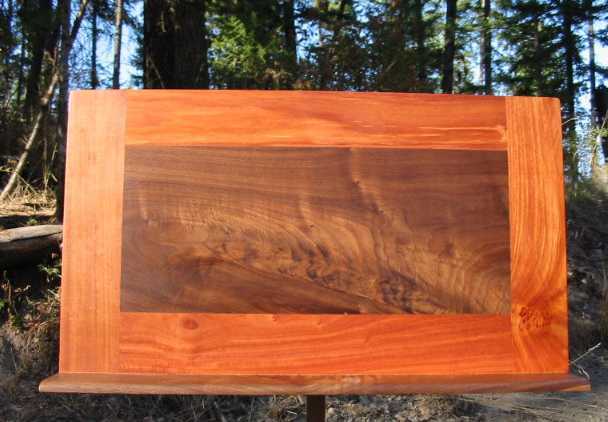 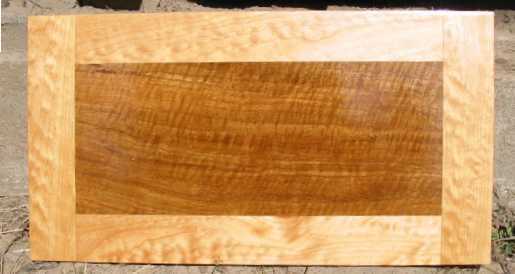 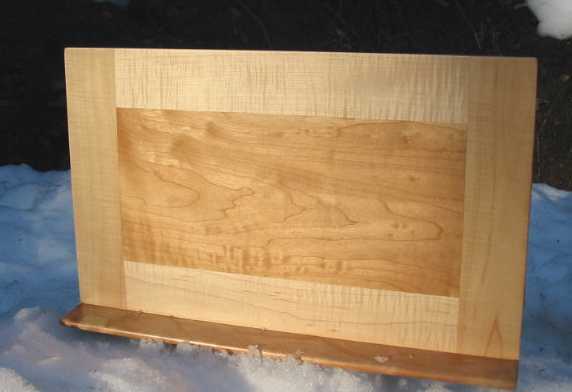 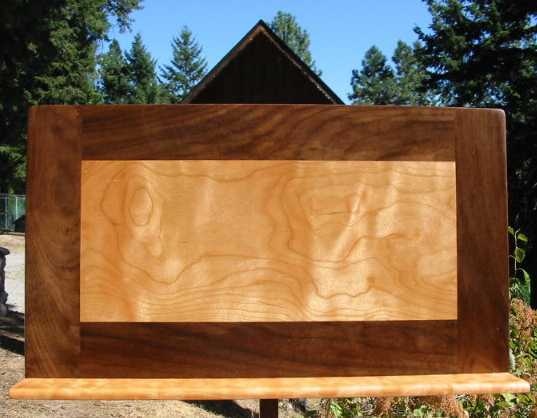 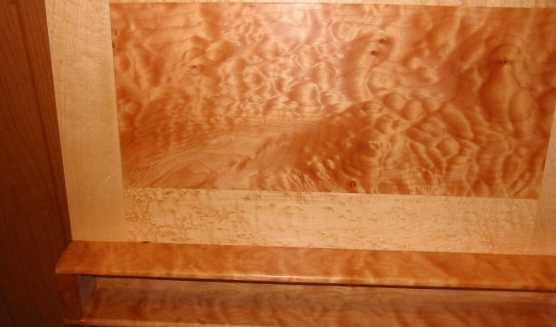 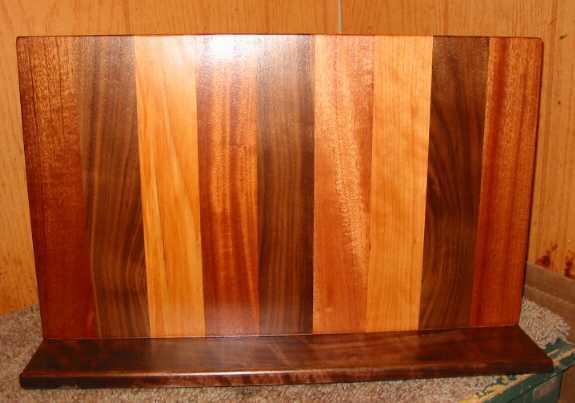 don't mind a few knots or character in the wood..
alder with a walnut 1 " border- very cool !! 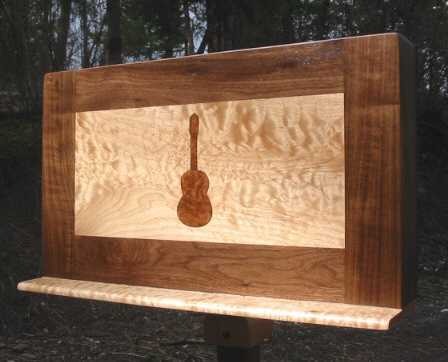 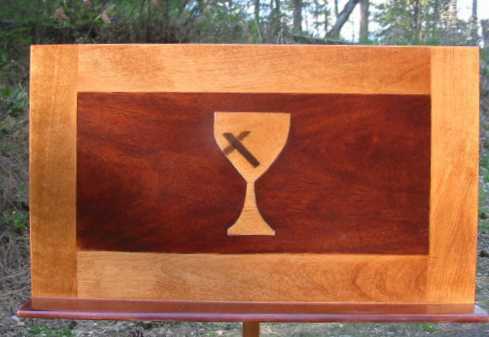 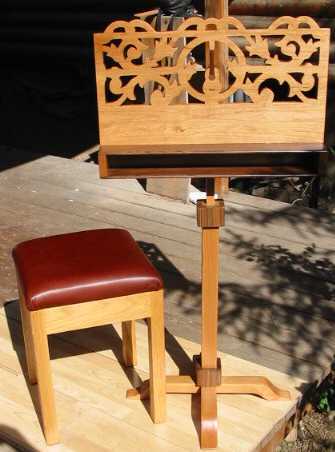 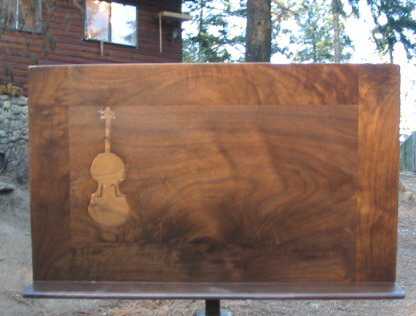 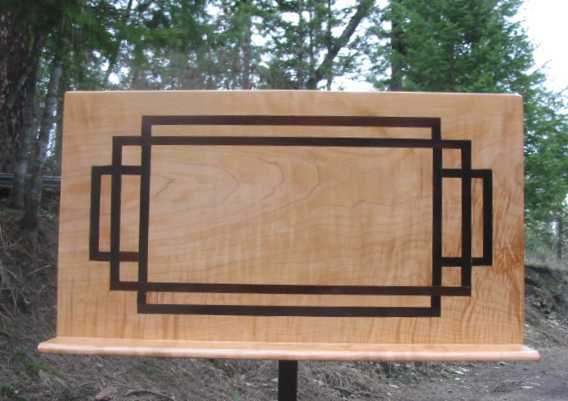 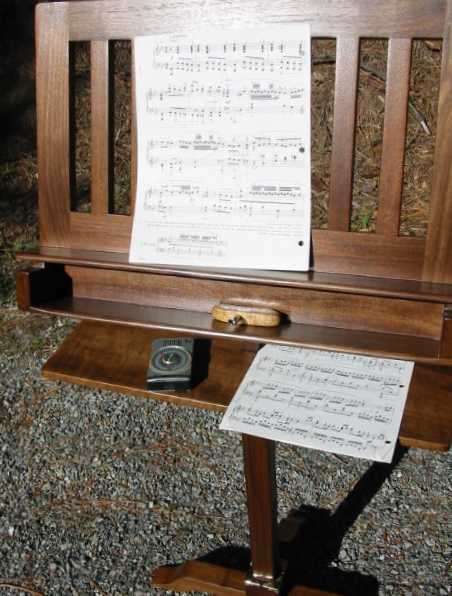 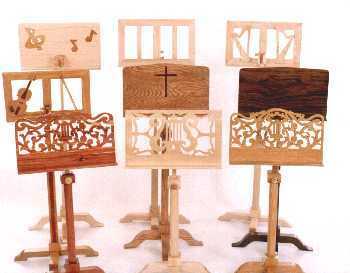 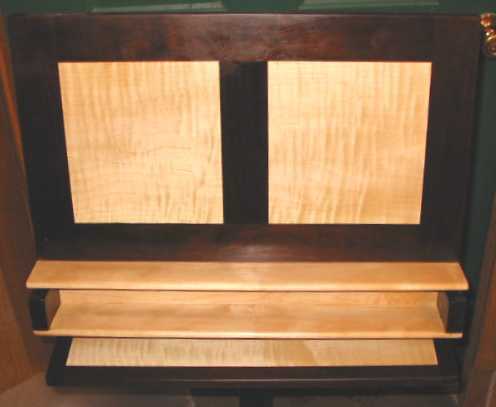 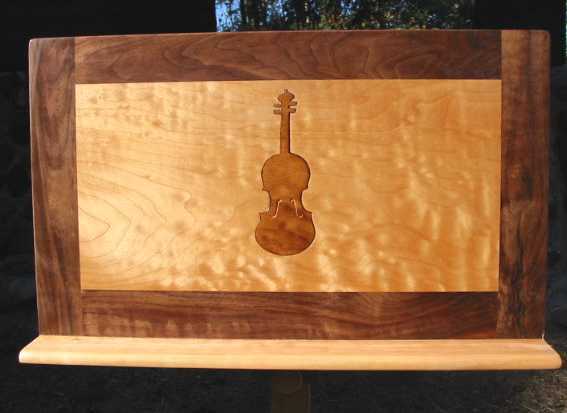 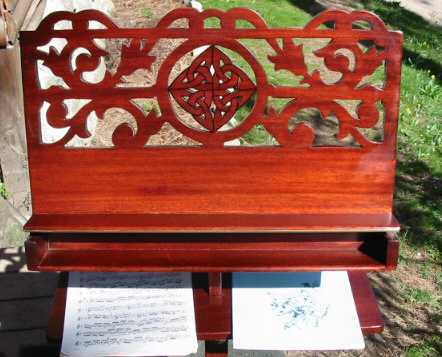 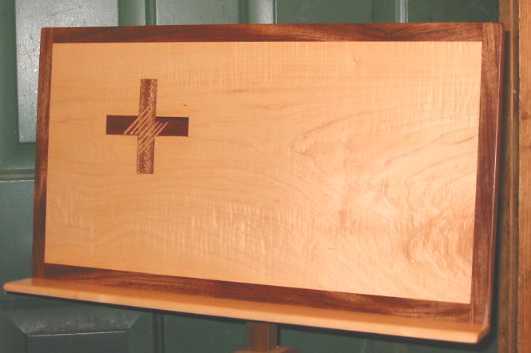 We can inlay a instrument or initial inside ..
Inlay initial is possible !! 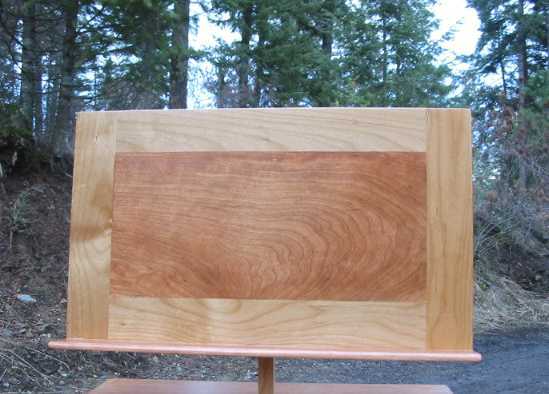 might not look this good ! 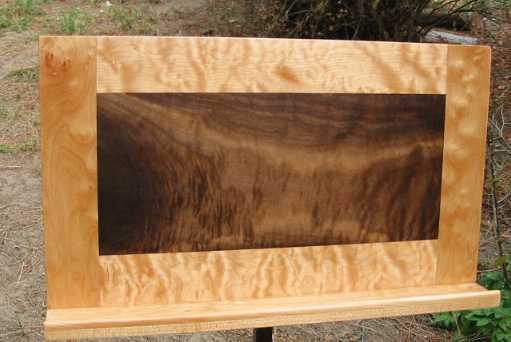 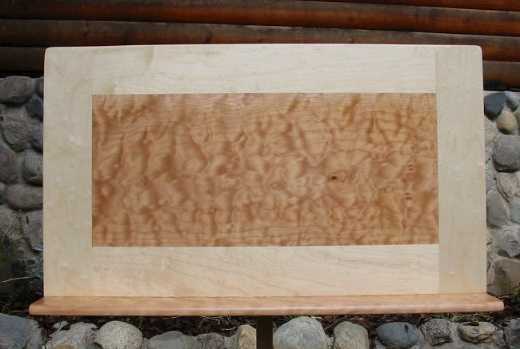 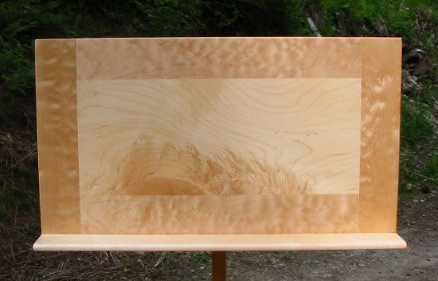 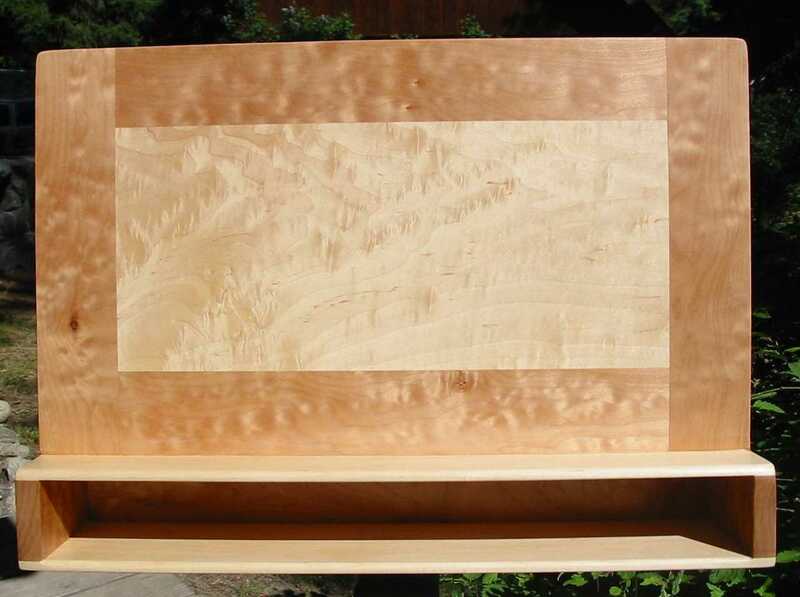 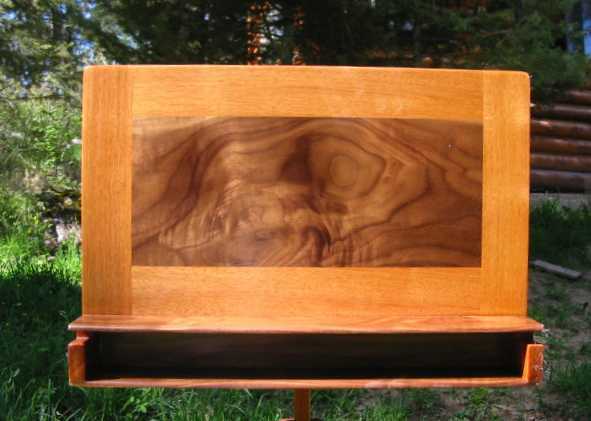 Oak with walnut burl center - conductor size 14" x 25"
in the center without staining the outside frame as pictured to the right. 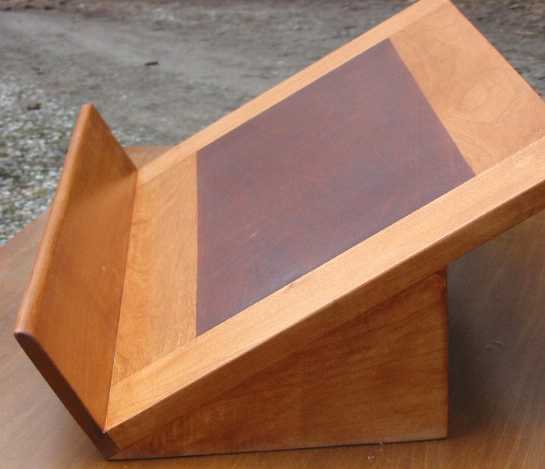 doing this stand because of work involved. 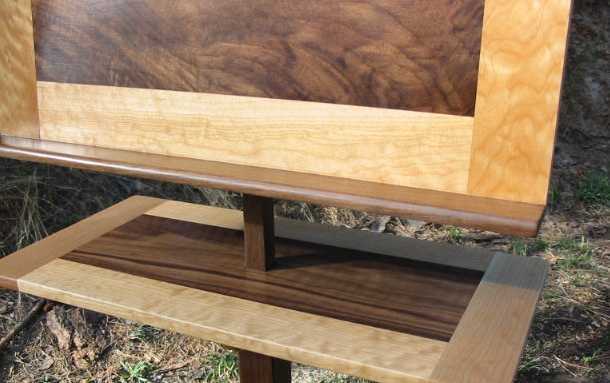 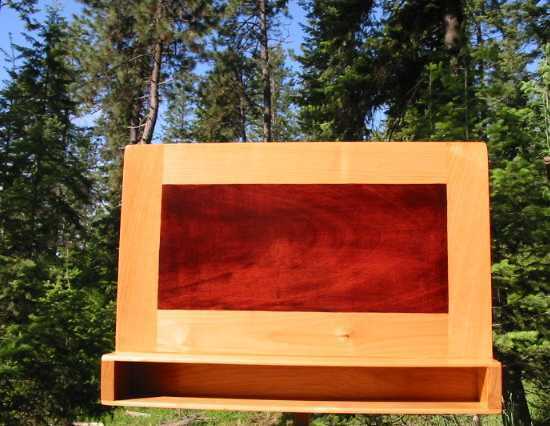 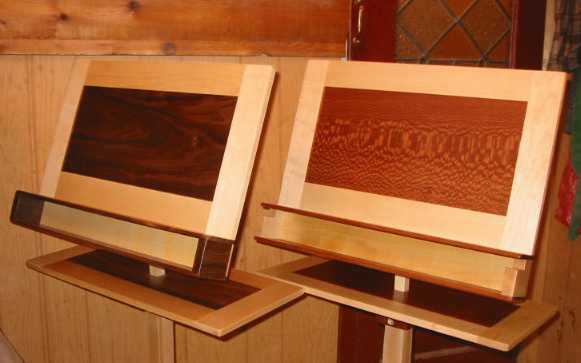 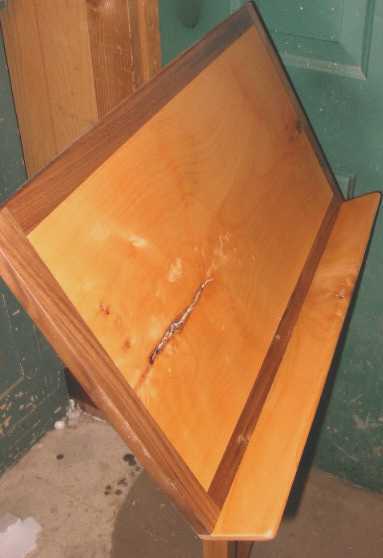 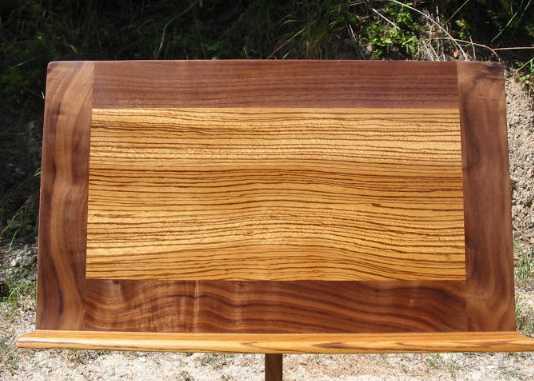 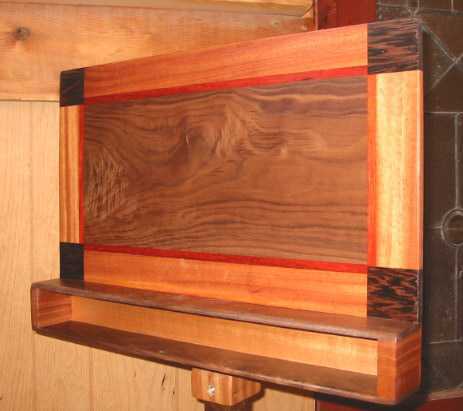 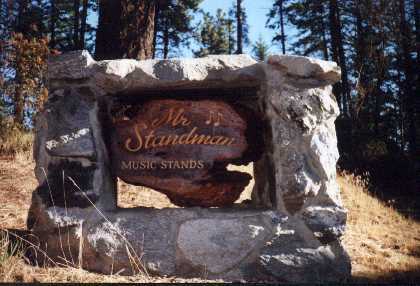 The extra shelf can be added to any of the designs of Mister Standman.